In the real estate industry, following up with clients and prospects is perhaps the most important part of maintaining sustainable growth. But if your goal is to capture as many real estate leads as you can, you need to generate prospects easily and follow up with all of them rapidly and extensively, even years after making a sale. Any experienced real estate agent will tell you that, in practice, generating real estate prospects and following up with them can be a real challenge, especially when agents are reliant upon legacy processes and outdated customer relationship management systems. Real estate firms and agents can no longer rely on dated prospecting and sales methods to compete in today’s evolving digital environment. 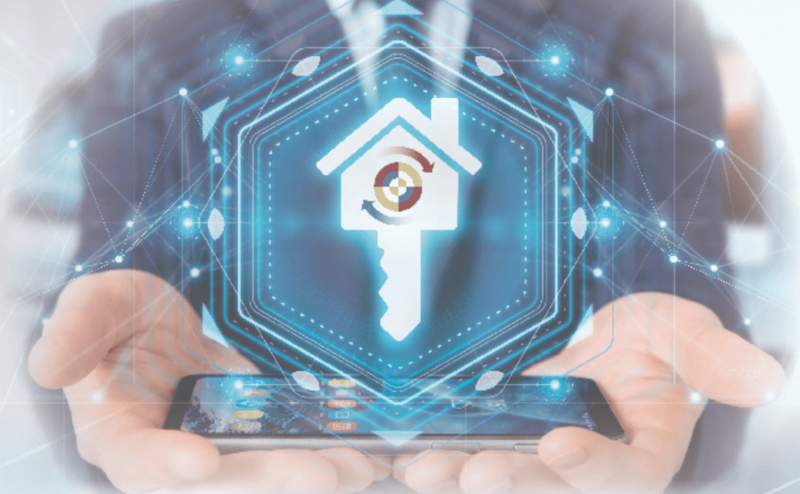 If your firm hasn’t invested in innovative real estate marketing and sales technology to help you become more efficient, you could be missing out on tools that make life easier for your agents and your company more competitive in the marketplace. MyLeadDashboard was developed to make the entire real estate lead generation process simple and intuitive. From Just Listed and Just Sold campaigns to post-closing client follow-up, MyLeadDashboard is so easy to use that even agents who aren’t experienced with high-tech tools can pick it up almost effortlessly. 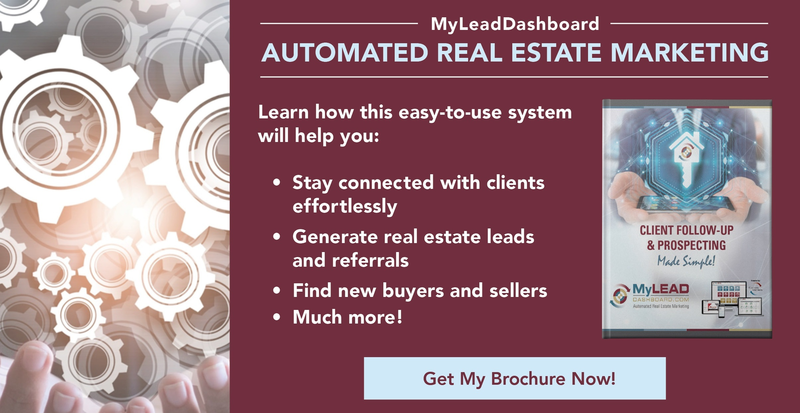 To learn more about how MyLeadDashboard can make client follow-up and prospecting simpler for your real estate company, download our free brochure. Every feature within MyLeadDashboard is designed to make lead generation, prospecting, and following up an effortless process. Automation takes control of much of the busywork, leaving agents free to pursue more interpersonal sales and prospecting opportunities. Additionally, MyLeadDashboard comes with a number of programs for maintaining client connections, even years down the road. The Connections™ client follow-up program helps real estate agents increase repeat business and referrals while maintaining constant, meaningful client engagement. MyLeadDashboard comes equipped with 3-year, 5-year, and 7-year marketing programs that are both branded and personal. These include email marketing, thank you cards, postcards, surveys, and other attractive and personable greetings that keep clients engaged. Data entry isn’t even a necessity for real estate companies who use this system. The Auto Enroll feature helps to increase agent participation by sending them email notifications about client follow-ups and utilizing a secure data feed from corporate. In addition to these simple, time-saving features, MyLeadDashboard also comes equipped with personalized prospecting and marketing programs, high-level reporting tools, personalized URLs, custom branded online storefronts, direct mail marketing tools, and more. To learn all about these exciting programs, download the free MyLeadDashboard brochure. You’ll get an inside look at the CRM, and the useful features this real estate marketing solution has to offer.